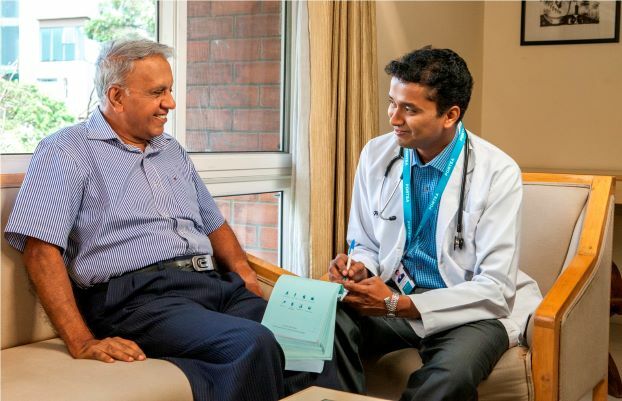 Portea, India’s leading consumer healthcare brand has launched an exclusive healthcare service for people above 65yrs of age. The service line is called Portea Health Prime and is designed to address the comprehensive health monitoring needs of elders. The population of seniors in the country is growing rapidly and many of them have one or more chronic conditions. This combined by the fact that most of them live on their own, and not with extended families, makes their healthcare management a rapidly growing challenge. Children living abroad, or in other cities, desire to attend to their parents’ health, however, struggle to do so due to their busy lives. Through the Portea Health Prime membership, Portea offers every family a doctor that is constantly monitoring their health needs. The doctor would carry out a comprehensive assessment and create a customized plan for the couple. The membership comes with additional benefits like access to Portea’s exclusive Care Club, Hospital partners and a tailor made social calendar for seniors. The health manager who is a single point of contact assigned to the family then ensures that the customized plan is delivered seamlessly to the family. That apart any other health needs are attended to, either at home or at a hospital as appropriate. The health manager becomes the go to person for the children, helping them manage their parents’ health in a stress free manner. And sophisticated monitoring systems will use technology to medically superior patient experience. Apart from being a leader in the home healthcare space, Portea is currently the one-stop-shop for all clinical needs of a patient at home. The company covers everything from lab services, pharma delivery, and equipment/devices rentals and sales to medical manpower deployment at the patients’ home. Since inception, Portea has completed more than 3.5 million patient visits across 16 cities in India including Bangalore, NCR, Mumbai, Pune, Kolkata, Chennai, Hyderabad, Vijayawada, Ahmedabad, Lucknow, Chandigarh, Jaipur, and Indore. The company manages ~150,000+ patient visits each month and works with more than 70 leading hospital partners, 15 pharma majors, and leading insurance companies in India.